'Finally! A show about cops!'. 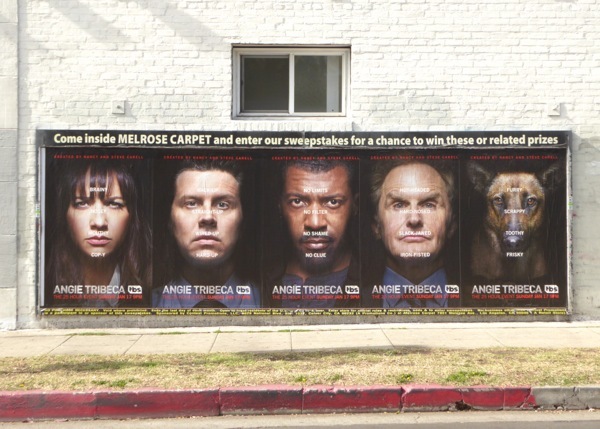 The tagline for TBS's entirely new spoof crime series is priceless and certainly sets a fun tone for Angie Tribeca, and who doesn't love the fact that the K-9 police dog is sharing the spotlight with the show's other stars. Parks and Recreation's Rashida Jones stars as the titular lone-wolf detective alongside the LAPD's finest in this comedy based on a joke between executive producers, Nancy and Steve Carell. At first, Daily Billboard thought that the '25 hour event' copy was all part of the spoof, but it's actually true. The network is taking a leaf out of streaming services like Netflix and Amazon, and offering their first season of ten episodes back-to-back with no ads, multiple times in one 25-hour TV marathon. 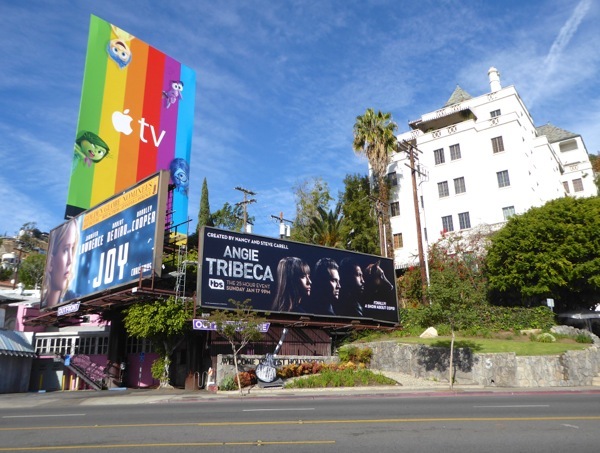 This tongue-in-cheek billboard for the procedural spoof was first snapped along the Sunset Strip in West Hollywood on December 16, 2015, whilst the individual character posters were spied along Melrose Avenue on January 13, 2016. 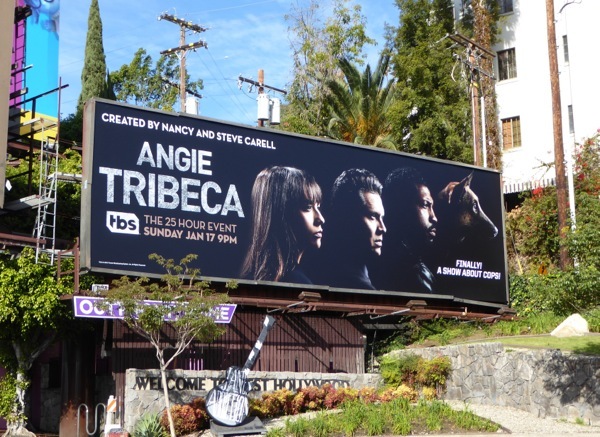 If you like the show you won't have long to wait, as once you're hooked on Angie Tribeca, the second season of episodes with start to air the following week. 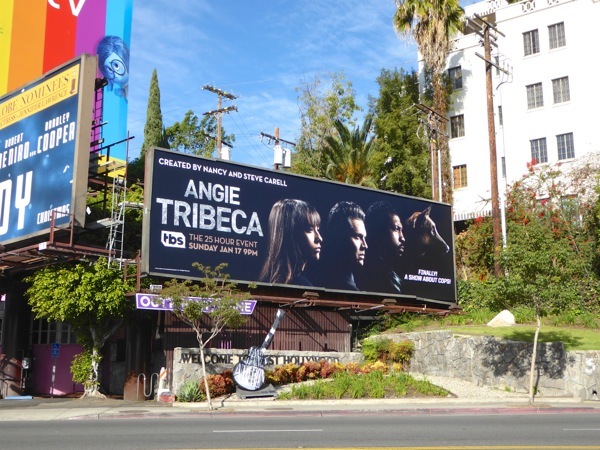 UPDATED: Here's also a fun Emmy consideration billboard for the police comedy snapped along La Brea Avenue on June 2, 2016.